Absolutely, thank you ! No wonder the magically talented Serkan Cura has created feather pieces for Victoria’s Secret’s last show ! Like the bodies of the Victoria’s Secret’s Angels ! 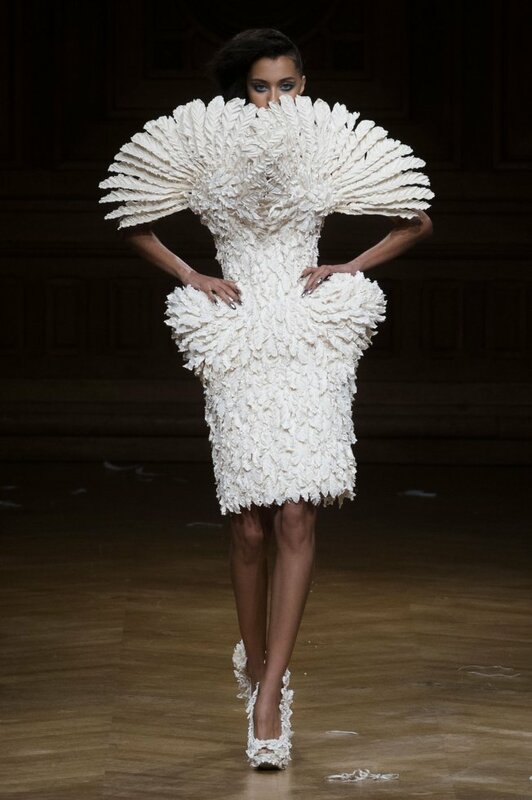 This haute couture piece is beyond awesome ! You’re always welcome, my dear friend!! These models really know how to do their job. Look at the elbows and the cut of the top. wow. Wow indeed, thank you ! It isn’t enough to be a great couturier (like the sublime Serkan Cura), your incredible pieces have to be showcased by extraordinary models too, in order to create a truly iconic image ! dailly and get nice information from here every day. Thanks a lot @latricewallner !